Multiple scenes of Sherman County, Kansas. In the photograph of the coyote hunters, pictured left to right are: unknown, Glen Hines, Fred German, Mrs. Jack Hines, unknown, and Jack Hines. 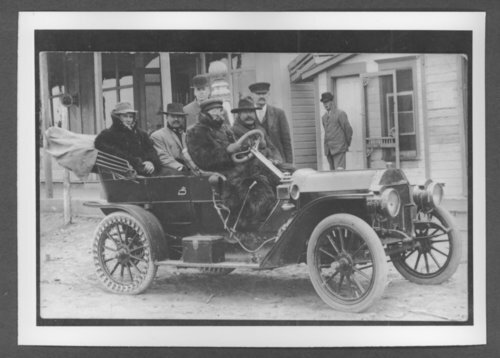 Scenes of Sherman County, Kansas - Men with an automobile. Standing, left to right: unknown, J.W. Germann and W.J. Detwiler.